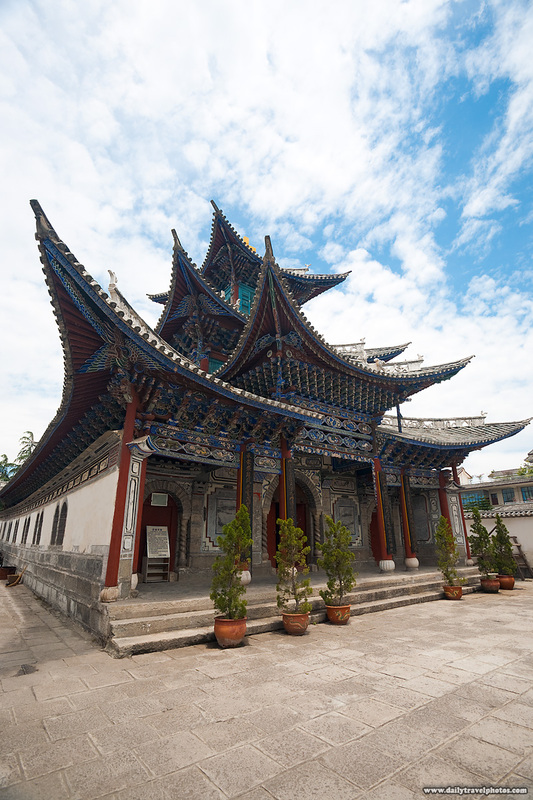 A beautiful Christian church built in a traditional Chinese architectural style in the historic old village of Dali (ARCHIVED PHOTO on the weekends - originally photographed 2007/06/14). 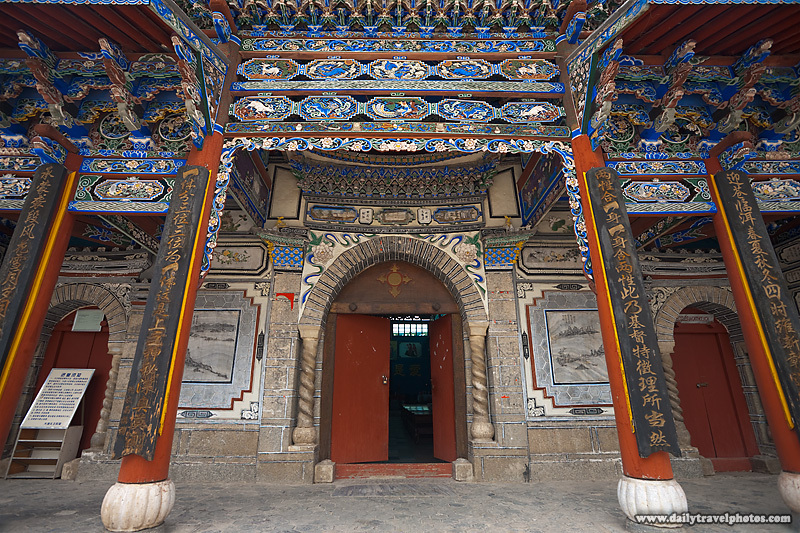 The ornate entrance to the Chinese Christian church in Dali (ARCHIVED PHOTO on the weekends - originally photographed 2007/06/14). 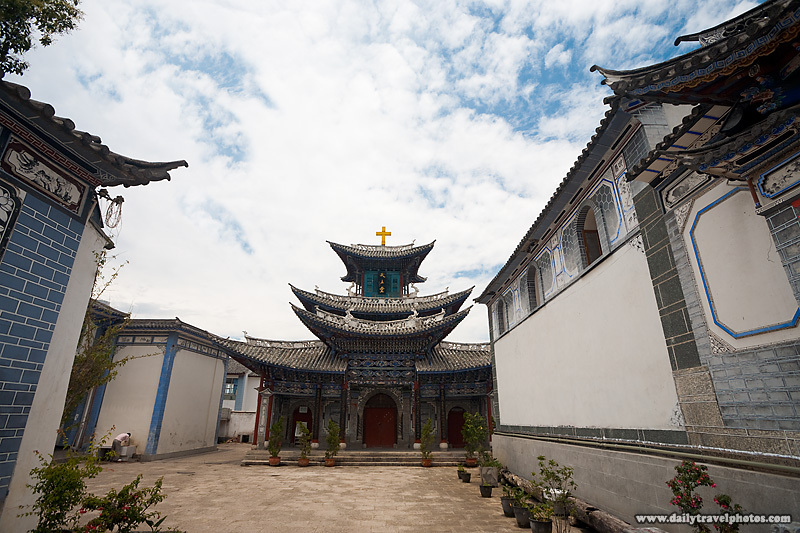 The courtyard in front of the Chinese Christian church in Dali, China (ARCHIVED PHOTO on the weekends - originally photographed 2007/06/14). Love the wide-angle composition of the first one. It just pulls me right into the photo and up to the top of the image. Thanks for these photos. They are gorgeous. I live in China and am doing some research on old church bells. Do you happen to remember if this church had a bell?